What a busy few months I have had. This summer I have been invited to take part in all kinds of events. It’s been exciting and overwhelming, considering I work full time, live in an extended family of three generations, help run a writing group and work on my own writing – while living with cerebral palsy. Since being a published poet last year I never expected the journey ahead to be so fascinating, if exhausting. However, I would not change it for the world. 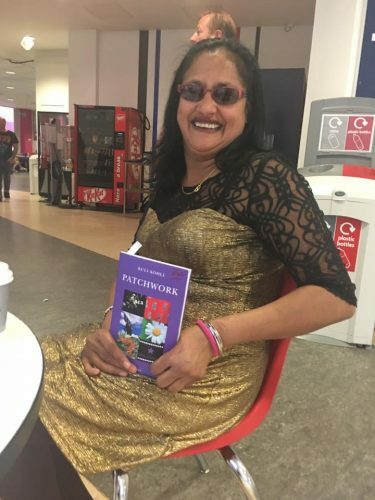 In June Nine Arches Press invited me to read my work at a book launch in Birmingham University. 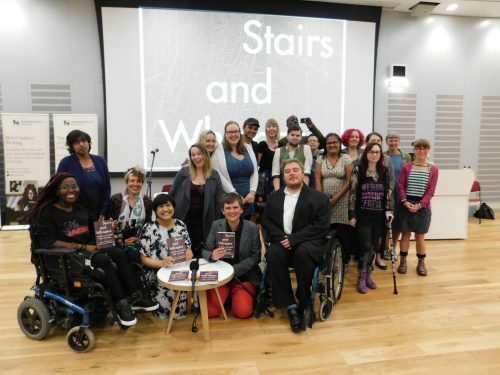 One of my poems had been selected for their anthology called Stairs and Whispers D/deaf and Disabled Poets Write Back. It was great to be part of this project because we were all focused on ability rather than disability. I felt connected and proud that we, as disabled can show our creativity in so many different and incredible ways. This remarkable anthology is not just a book, it has links to YouTube videos and vocal links that will inspire us all. There’s something for everyone in this wonderful creation edited by Sandra Alland, Khairani Barokka and Daniel Sluman. Definitely a recommended read. In July I was part of The Why? 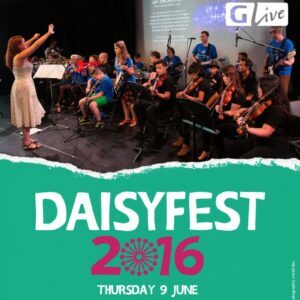 Festival 2017 organised by Robin Surgeoner. 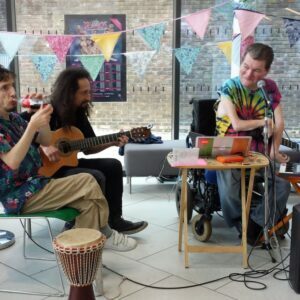 This event focused on empowerment for artists and musicians who live with a disability. The Why? Festival provided a positive platform for artistic expression, inclusivity and development. I thoroughly enjoyed reading some new material on stage. I will never forget Robin’s push to get me performing on stage and now, after a year of performing my work to different audiences, I am beginning to feel more and more comfortable with myself on stage. A big thank you to Robin Surgeoner! 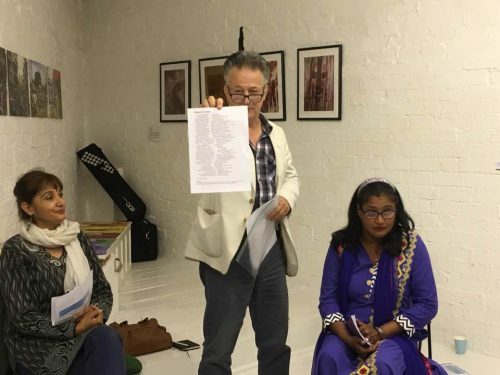 In August I took part in the Untold – Partition event organised by Komlaish Achall (Artist/Photographer). This event was the last of four events of art to mark 70 years of both national pride and the lasting legacy of the Partition of British India (India and Pakistan). This was held at the Asylum Art gallery in Wolverhampton. I enjoyed this event very much. We had many different poets sharing their words at this event, including Simon Fletcher who also hosted the event. I shared a piece about the partition of India and Pakistan I had written a few years ago. This poem has 3 different voices and was performed by 3 of us: Sunita Sahota, Simon Fletcher and myself. Everyone was greatly entertained and we received some lovely feedback. So, as you can see, it’s been a very busy summer this year and I am expecting a busy October! !